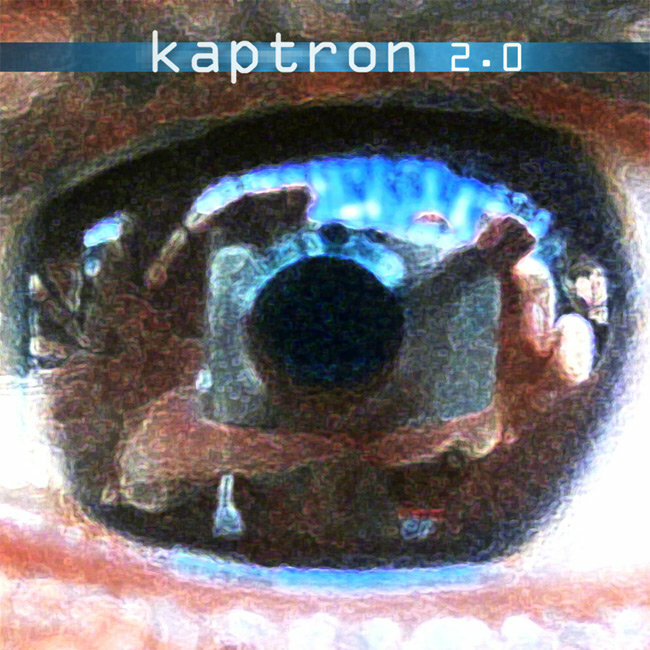 kaptron is the alter-ego of a humble computer geek who likes to spend his free time orchestrating strange melodies in his San Francisco apartment. 2.0 ("two point oh") represents an evolution in the burgeoning field of guitar-computer mating (which can be achieved with enough coaxing), topped off with a smattering of vaguely sarcastic lyrics. Taking cues from good ol' fashioned hard rock, mellow indie rock, funky electronic rock, and layered sedimentary rock, these songs intend to transmit bumping beats into your head space and paint a smile on your facial place. Don't be afraid. Make the upgrade. giving up or you giving chase? and I said... you got a long road ahead. "all you need for a better time is one of these"
is that the case you're sticking to? ...but is that the case? why can't I just let it go? do you think I'd change the way I live my life? nothing's what I can't afford to lose. would you really be frontin' if you knew what i was packing? so what you going on about?